The trials and turmoil of owning, managing, or working in a restaurant can occasionally be too much for one person. Sometimes, you need advice, a resource, or someone to look to and get that extra boost of insight or confidence. Luckily, that's where restaurant bloggers come in. Take a glance at these questions, and note if your answer is yes. Do you want to learn how to run or market your restaurant better? Do you want to read restaurant management tips from other restaurant owners? Do you struggle to find tips for restaurant technology, metrics, and staffing? Do you think you could even find the time to search for these publications, never mind read them? The answer to that last question is most likely no, but the first three questions are paramount for restaurant owners. Restaurant entrepreneurs are always looking to improve their business, increase customer satisfaction, and drive more profit. The best way to do that is by making the time to learn from others and research best practices. You can find advice from other restaurant owners online if you know where to look. Instead of paging through several Google search results to find quality restaurant content, we’ve gathered our Top 10 Restaurant Management Blogs every restaurateur should follow in one simple list. They're wonderfully designed, resourceful, and full of industry-expert insight to give you all the answers to your most vital restaurant questions. Bookmark these blogs in a folder, or add them to a feed reader such as Feedly, and check in on them once a week to stay updated on restaurant trends and tips. The Reserve app has made waves in the way restaurant-goers make their reservations - but they don't stop at cleaning up your books and clearing up the headspace of your hosts and hostesses. Their blog is very well-designed and frequently updated on a variety of categories, both highly specific and more general. Notice the range of topics including Restaurants, Food & Drink, News, Industry, Beer, Wine, and even city-specific stories for Philadelphia, New York City, and Los Angeles. It's timely, it's pretty, and it's full of valuable information. Our Favorite Article: Food & Design - Top Restaurateurs on Why You Should Care. A topic that fits well with their elegant blog design, this entry is full of visual inspiration and quotes from fellow restaurateurs and experts on ways to make sure your edible creations are tempting for both taste and sight. This blog post also has more universal advice for restaurant owners and managers, like tips on menu design and staffing. Looking for restaurant marketing advice? Look no further. All great restaurant business owners know that smart marketing no longer entails sending menus to the mailboxes of everyone in your town or simply putting up a website or social media page. Restaurant Den specializes in getting your restaurant noticed with killer website design, email marketing, social media, and SEO tips. Their embellished blog is proof that these people know what they're talking about. Our Favorite Article: POS 101 - Everything Restaurant Owners Need To Know. 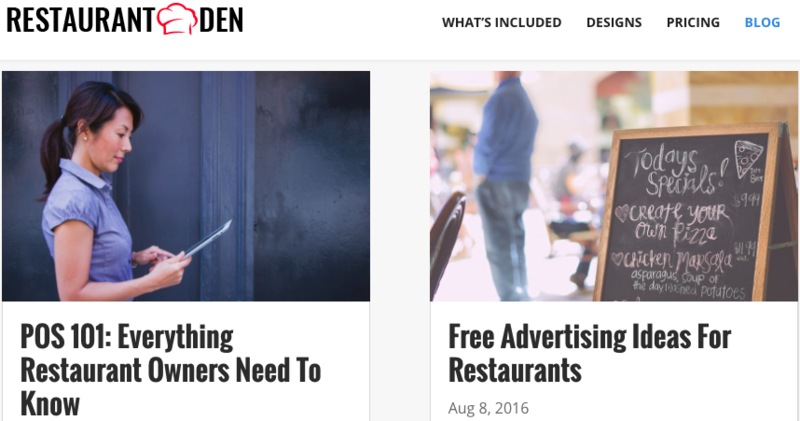 Restaurant Den's focus is in marketing, but the company also gives great tech tips. Case in point: their blog on POS necessities. Any restaurant that wishes to exceed expectations in the 21st century must have great marketing, but even better restaurant technology. Ctuit provides extremely helpful scheduling software integrated into your POS. They also run an incredibly helpful blog, releasing weekly posts about the tech side of running a restaurant. They're easily digestible yet extremely insightful. My favorite part about these blogs is that they get straight to the point - they're quick reads and trust the reader can take control of a situation in their restaurant once they understand what the problem is. Our Favorite Article: 5 Ways to Reduce Restaurant Energy Usage (And Cost!). A perfect example of one of Ctuit's quick how-to blogs, this entry explains the problem with its title and a quick intro, then jumps right into solutions. Sure, it my not be the most SEO-friendly approach, but for a restaurateur looking for quick answers, this is the place to find them. If, however, you want to take a deep-dive into a topic, Ctuit's blog would probably work better as a starting point instead of a final destination for your restaurant information quest. 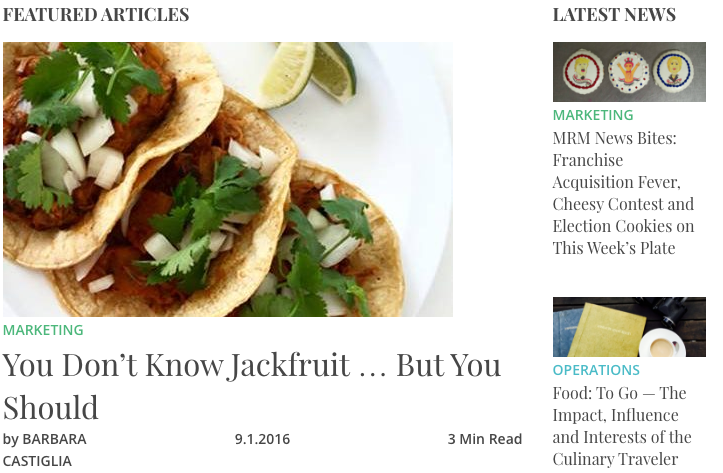 MRM is more than a blog - it's a website dedicated completely to bettering your restaurant, encompassing the topics of marketing, operations, design, equipment, finance, and law. Not only is the layout fantastic, but it gives you a disclaimer on how long the article will take to read. It's also updated quite frequently, so you won't miss a beat of information that can be helpful to your restaurant in some way. Also, there's video - another great tactic for engaging website visitors with fresh content. Our Favorite Article: Five Ways to Increase Your Restaurant Customer Trust. The article, like the website, covers a range of ideas in one place. For example, this blog post ties together the importance of supply chain, team training, and food quality to earning customer trust. Seasoned restaurateurs know that one area of their restaurant likely impacts every other in some way, and this post is a perfect example that the contributors to MRM know that as well. Uncorkd is a helpful tool for restaurants, and their blog is even more helpful to bars and FSRs selling alcohol. The blog also has an ingenious inclusion for anyone managing a restaurant - weekly restaurant industry roundups known as "The Check Out: Weekly News Bites for Restaurants." Instead of scouring Google News or digging through the internet for the latest in restaurant news, these weekly updates will do just fine. Our Favorite Article: The Ways to Win Over Millennial Drinkers and Diners. Uncorkd really does understand the problems facing restaurateurs in today's competitive environment. Appealing to millennials is a wise move for restaurateurs. Not only does this demographic make up a large amount of the population, but securing a repeat visitor at a younger age can create a regular for life. Their tips are honest and useful, and will get more guests in their twenties coming to your restaurant in no time. Foodable Web TV Network’s articles includes top industry innovation, brand news, and consumer data. The blog caters to the fast casual restaurant industry, but covers everything from catering to customer psychology to regulating tips. Foodable has a slew of content organized by city, making it easy for readers to follow news about fellow restaurateurs in the area. Lastly, they post short videos about fast casual trends, insights, and special reports from the National Restaurant Association to ensure their readers are always well informed. Our Favorite Article: Restaurant Surcharges: How Much is Too Much? With the growing debate about tipping, as restaurants like Bar Marco start implementing fair wages and benefits and banning tips, writer Courtney Walsh takes a look at a related issue: how much is too much for a surcharge, or a fixed tip, on a restaurant check? The Restaurant Engine is a restaurant web design company with an immensely helpful blog. Updated often, they feature restaurant marketing tips, startup restaurant advice, and restaurant promotion suggestions. Their main goal is to offer tips, strategies, and ideas for restaurant owners looking to attract more customers with a strong web presence, but their blog posts offer so much more. Check out The Restaurant Engine’s content today! Our Favorite Article: How Your Restaurant Can Compete With Cheap. When you’re competing with large restaurant chains in your area that tout a $5 burger, it’s tough to show the value of your $15 gourmet sandwich. Start with these tips from The Restaurant Engine to prove the value of your restaurant with effective marketing so you can win against your cheaper competitors. Restaurant Hospitality is a blog and magazine with a smorgasbord of full service restaurant news, menu advice, and restaurant management tips. Chefs, restaurant owners, and restaurant consultants all post here, offering an assortment of unique views on the restaurant hospitality experience. New articles are published several times a day and feature restaurant events, growing food trends, back of the house advice, and top chef inspiration. Our Favorite Article: How to Improve Your Profitability: Notes From The Road. Chef Adam Weiner appeals to owners to stop crunching numbers and start looking at your establishments from the customer’s perspective. He outlines his worst experiences at restaurants, including menu confusion, mobile-unfriendly websites, and empty coffee pots. Stay away from these mistakes to keep your business profitable! Restaurant Business is also both a magazine and an online blog. The online blog is updated daily with consumer and beverage trends, innovations in restaurant technology, advice for restaurant owners with specific questions, and quick service, fast casual, and fine dining news. As an added bonus, their website is very user-friendly, and their content is short but jam-packed with good advice. Finally, our last helpful restaurant blog is the Toast Restaurant Management blog! We post interesting, entertaining, and thought-provoking articles that help you keep up with the latest foodservice trends restaurant management resources. With our experience as POS system vendors, we have implemented our product and observed its impact in restaurants nationwide. We share our advice and experiences in this blog. Subscribe below for more content like this! Our Favorite Article: 10 Restaurant Management Books All Restaurateurs Should Read. Restaurateurs typically look to restaurant management blogs for advice and concrete answers to their problems. However, the books listed in this blog entry from Toast remind us of the ways restaurateurs can escape from their stress in a relaxing way that can still relate to their lives. What Are Your Favorite Restaurant Blogs? 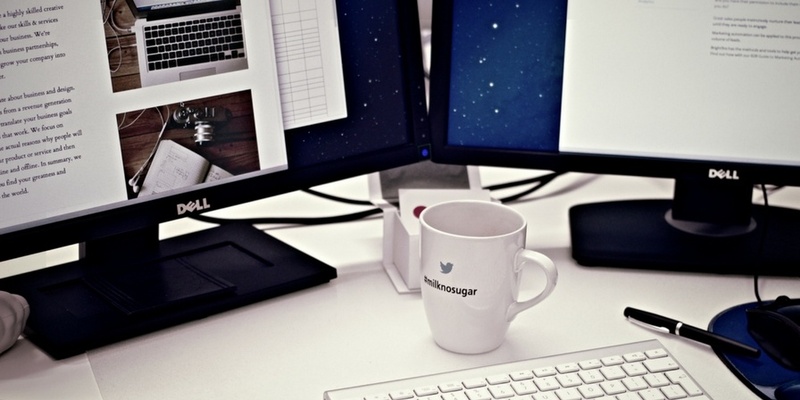 These are our top 10 restaurant management blogs. Bookmark them as resources, subscribe to them, and visit them once a week to see what’s going on in the restaurant industry! And subscribe to Toast to get continued information on restaurant management, technology, marketing, and menu creation tips! What are your favorite restaurant management blogs? This post was originally published in 2015 and has since been edited for accuracy and comprehensiveness.